Originally, reported being a UNC inspired Air Jordan 13 themed colorway dropping later this year, new details have emerged on the web stating we are not getting a UNC Air Jordan 13 but rather an Air Jordan 13 Island Green. Based on what’s being reported, the shoe will sport a black suede upper with the Island Green color dressed towards the bottom of the shoe, similar to what we have seen Nike did on the Foamposites a few years back. Below is a mockup of what to expect the shoe to look like, courtesy of Houseofheat. 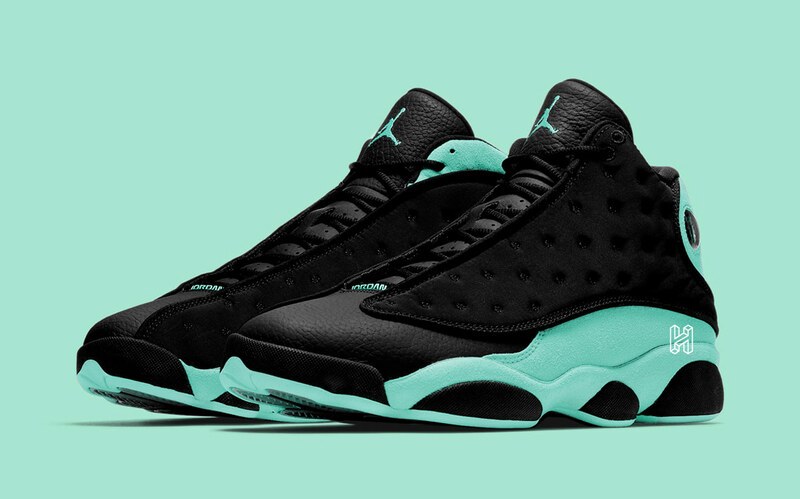 The Air Jordan 13 “Island Green” is slated to release November 16th, 2019 at your local Jordan Brand retailer. These will also release Nike.com, on the SNKRS app. DailySole is a brand devoted to keeping you up to date with the most relevant, and essential information to keep the culture moving forward.